The founder of the Pallottine order was St. Vincent Pallotti. Vincent was born in Rome on April 21, 1795 and was the third of ten children. His family was very religious and Vincent grew up going daily Mass. Following his calling to serve God, he was ordained a priest on May 16, 1818. Vincent believed that ALL -- (laity, clergy and religious) are called to be Apostles. His dream was to enable lay people to assume their proper role in the mission of the Church and establish a community to translate his vision into reality. His vision included men and women, young and old, the laity, priests, sisters, brothers and religious. St. Vincent was a simple man but was very strong in his belief that ALL ARE CALLED to SERVE as APOSTLES of CHRIST. He often needed to defend his vision and for this reason he is often referred to as the DEFENDER of the LAY APOSTOLATE! Believing that all are called to be Apostles of Christ, Vincent Pallotti saw the spiritual and temporal works of mercy as the means “to revive faith, re-enkindle charity and foster unity” among all of God’s people. The fruit of Vincent Pallotti's inspiration was that The Union of the Catholic Apostolate (UAC) was formally approved on April 4, 1835 by the Cardinal Vicar of Rome giving a blessing to the Pious Union of the Catholic Apostolate and on July 11, 1835 Pope Gregory XVI gave his official approval. As the UAC began to grow, many people did not understand St. Vincent's inclusive ideas of service provided by priests, religious and lay people working together. He realized the need for communities of men and women to be responsible for its development. After Vincent's death in 1850, the name was changed to the "Pious Mission Society" with only the community of priests and brothers and the sisters. The community members knew that the vision of Vincent Pallotti was more than the reality they were living. So, after much study of St. Vincent's charism and the individual guidelines of the Pallottine groups, St. Vincent's vision became a reality again. On October 28, 2003 the Union of the Catholic Apostolate - UAC received the official approval and blessing of the universal Church from the Pontifical Council of the Laity. The Union of the Catholic Apostolate consists of consecrated religious as well as lay faithful and is established in many countries around the world. belongs to the Union of the Catholic Apostolate. 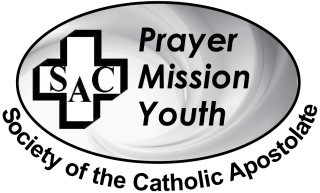 The Society of the Catholic Apostolate (SAC) is an international community of priests and brothers, founded by St. Vincent Pallotti. His name is the reason for the popular name “Pallottines”. The official Latin name is Societas Apostolatus Catholici. The abbreviation SAC, stems from the first letters of this name. The Society has approximately 2,300 members, who live in over 300 local communities in more than 40 countries. The General Administration of the Society is located in Rome, Italy. In comparison to the size of other religious communities of men, the Pallottines would rank 17th. They speak more than 40 languages and, as an international community, the members use seven "official" languages: English, French, German, Italian, Polish, Portuguese and Spanish. Our Province is named "The Mother of God". We are located in Milwaukee, WI. We have 18 members in our Province and we are guided by our local Administrative Council. “The love of Christ urges us on.” (2 Cor: 5,14). 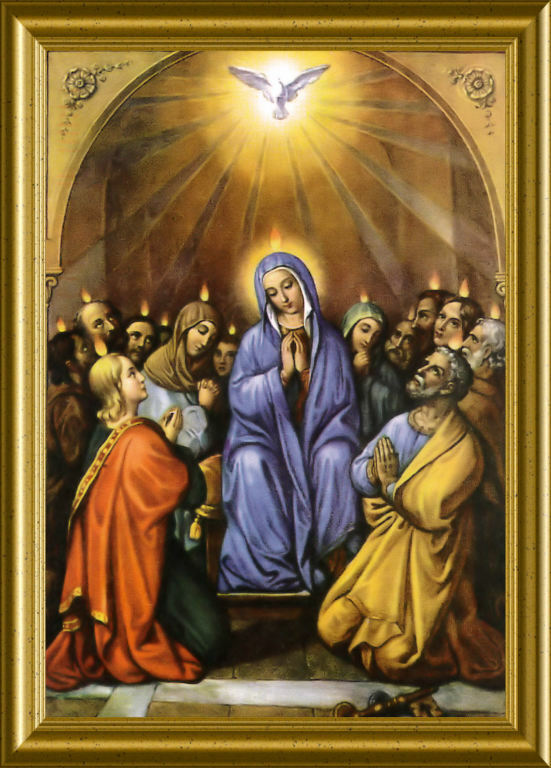 is the Patroness of the Society.